On 20 February 2017 amendments took effect to the STOPIA and TOPIA schemes relating to compensation for oil pollution from tankers. The Small Tanker Oil Pollution Indemnification Agreement (STOPIA 2006) and the Tanker Oil Pollution Indemnification Agreement (TOPIA 2006) both provided for a review of their operation in the light of claims experience in the first ten years from their introduction. At the October 2016 meetings of the IOPC Funds it was noted that a review had been carried out and that certain amendments were proposed. The schemes provide for various measures to adjust the financial cost of claims for oil pollution damage to ensure that over time this is borne by shipowners and oil receivers in approximately equal proportions. 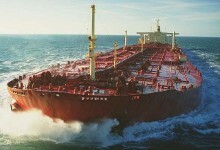 As a result of the review conducted in 2016 by the International Group of P&I Clubs, in consultation with the Secretariat of the IOPC Funds, the Oil Companies International Marine Forum (OCIMF) and shipowner representative organisations, it was decided that no such measures were called for on this occasion. Amendments have however been made to both schemes relating to the conduct of future reviews and to address sanctions issues. These amendments took effect on 20 February 2017, and the International Group has issued re-titled texts of the Agreements: STOPIA and TOPIA 2006 as amended 2017. For background information and links to further details see STOPIA and TOPIA.